When I think about a romantic and luxury week-end here in Piemonte, I think about the area of the Lakes Orta and Maggiore. 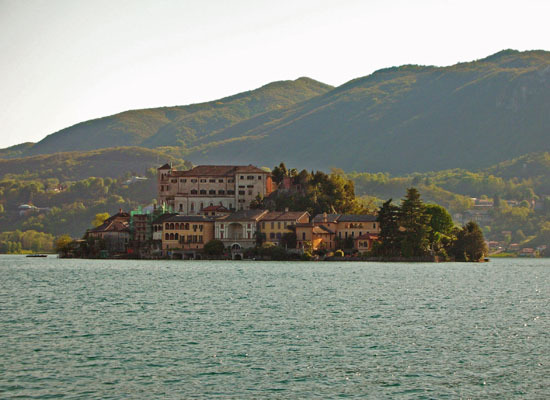 The Lake Orta is in the north of Piemonte, near the Mottarone mount which separates it from Lake Maggiore. 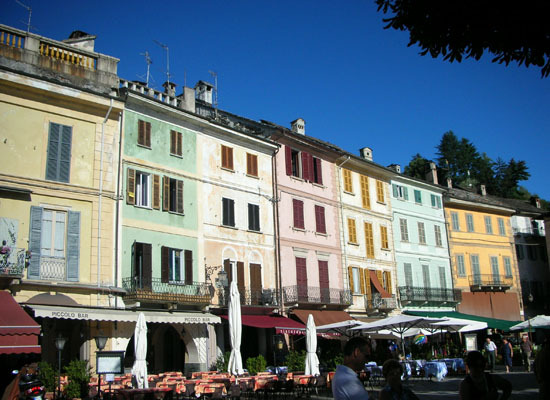 The name of the village is Orta San Giulio: the main core of the town is situated on the lake shore opposite the Island of San Giulio (photo). It's easy to understand why this place is so romantic: a small island in the middle of the lake and the mountains in the background. The perfect landscape for a quiet week-end with your sweetheart. I suggest you to go to Madonna del Sasso's Church, on a rocky outcrop of granite overlooking the lake: such a stirring and romantic view! 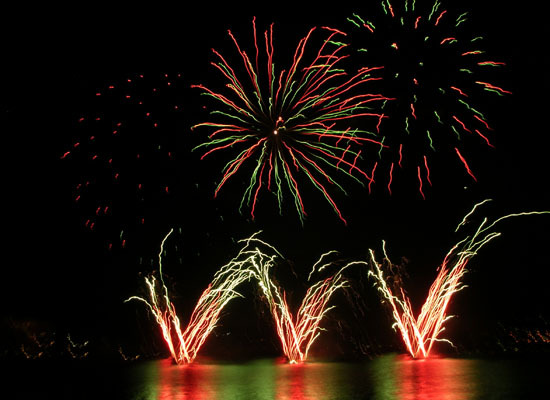 Another lovely village on the lake where you should go is Omegna, famous for the annual Fireworks Festival, that happens in August: "Fiori di fuoco" ("Flowers of fire"). Lake Maggiore, as I told you, is in the north of Piemonte, not so far from the Lake Orta. It's the second largest in Italy, after Lake of Garda. 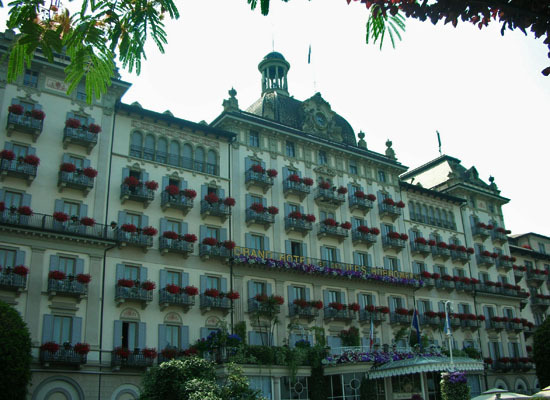 Go to Stresa: it's the village to which I prefer to go on the Lake Maggiore. It's so peaceful and chic! If you want to relax and if you're looking for a very luxury hotel, choose one in front of the lake and of a romantic island: Isola Bella (that means Beautiful Island). 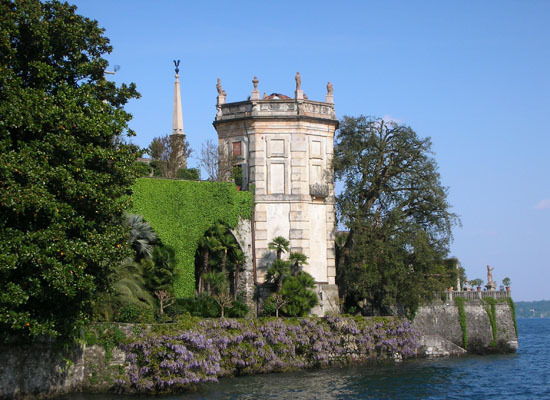 You can go to Isola Bella by boat to visit the Borromeo Palace and the beautiful garden with an incredible variety of exotic plants. Currently the island is closed, because there are work in progress to restore it: they will last throughout fall and winter and they will be concluded for the reopening of the island visits, on 22nd March 2014. 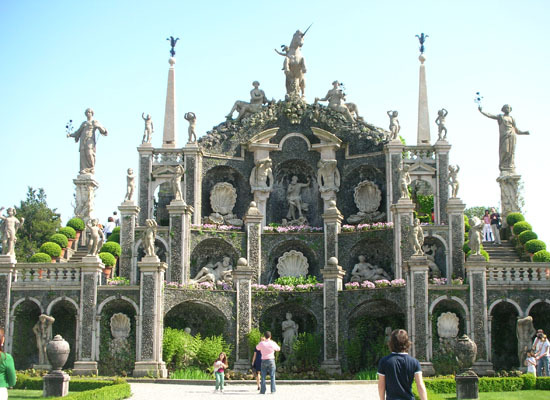 Finally, you could also go and visit Arona, not so far from Stresa. 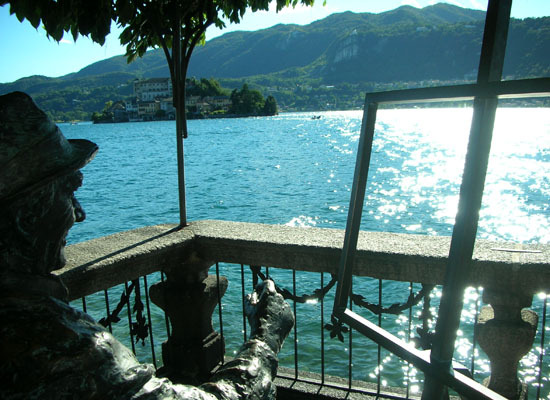 At the top of a mount there is the Colossus of St. Charles Borromeo: this statue, dubbed the "Sancarlone", overlooks on the Lake Maggiore and it is about 36 meters high! 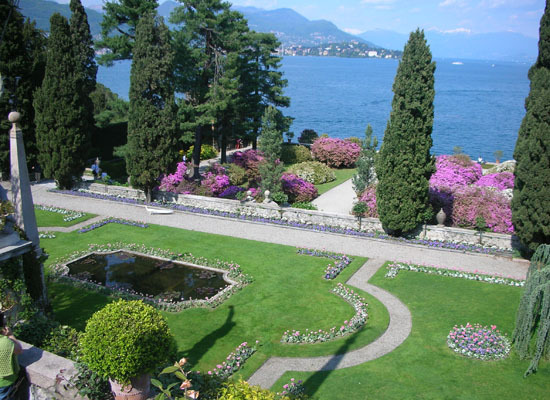 I love Lake Maggiore because everything here is so romantic, elegant and perfect. 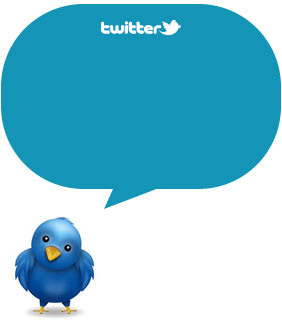 I hope to made ​​you want to come up here very soon: it is so relaxing, believe me. 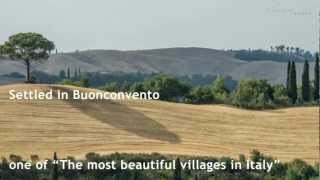 If you prefer a A Romantic Getaway in Puglia or A Romantic Weekend in Sicily or a A romantic holiday in Tuscany, heve a look to our previous posts.